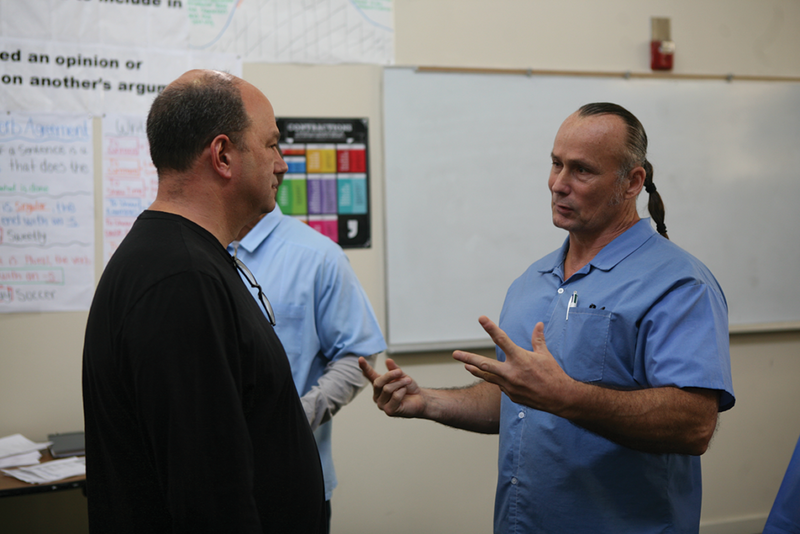 The Chan-Zuckerberg Initiative (CZI) sponsored a Criminal Justice Reform workshop with the Prison University Project (PUP) at San Quentin during the fall semester. 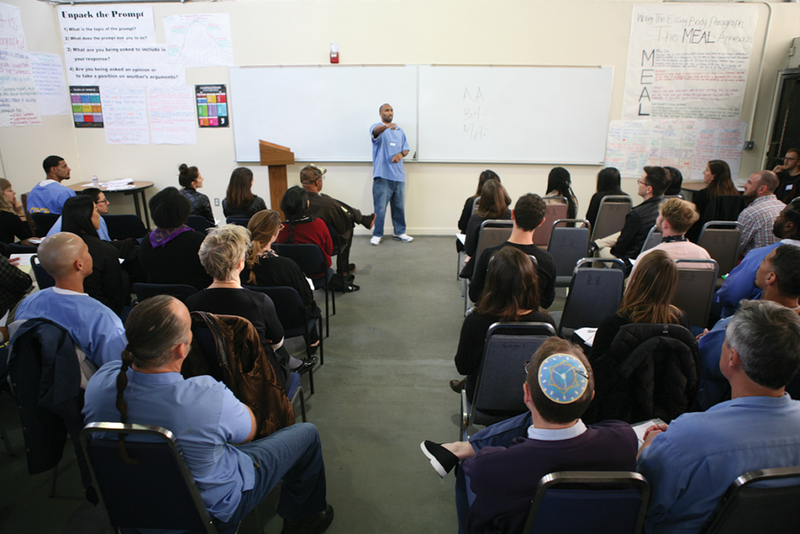 The “Criminal Justice Reform, Philanthropy, and Social Change” workshop was designed to include incarcerated voices in the decisions that affect them. The framework for the non-credit college workshop revolved around participatory action, which seeks to ensure that the people directly affected by social problems lead and inform the efforts to solve them. • Give participants an opportunity to develop their own reform proposals for consideration. Therefore, the first third of the semester was dedicated to learning about power, social theory, and mechanisms for control. 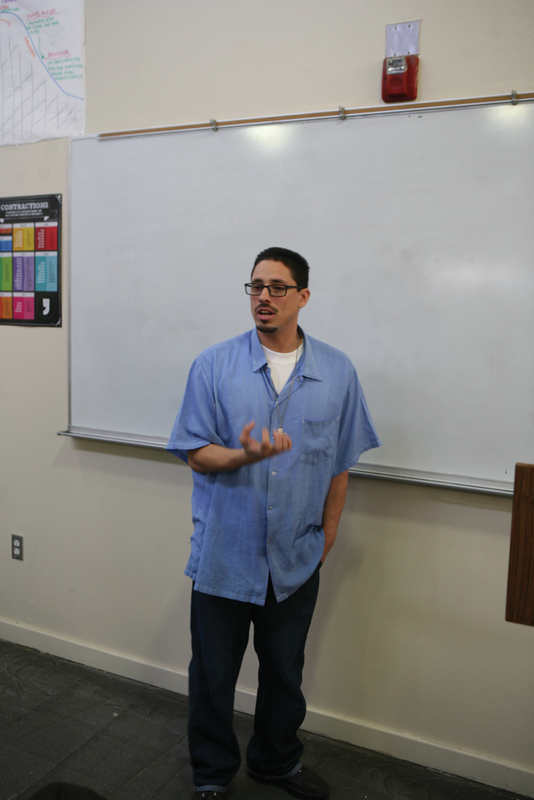 Jamgochian asked the class what they thought about criminal justice reform. Then she explained that all of the ideas that were tossed around were structured around what the students had been exposed to in society, through television or literature—no one mentioned any alternatives. 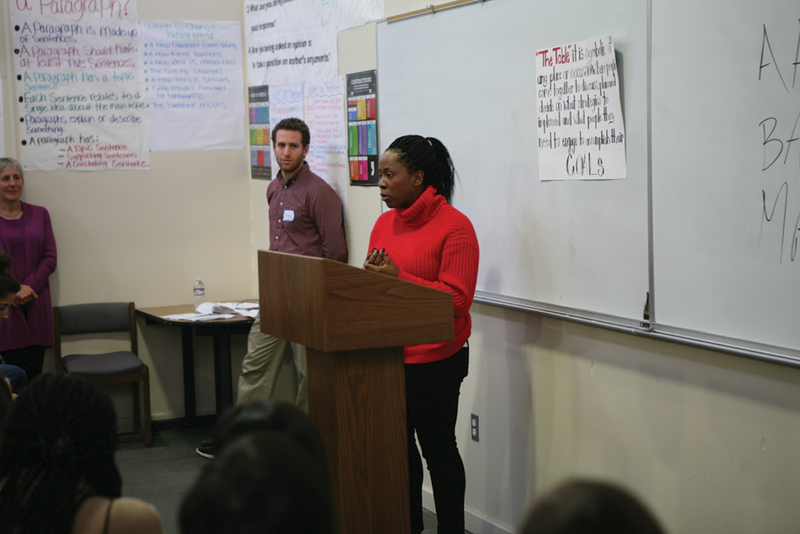 Students were asked to start thinking about a project proposal that would revolutionize the criminal justice system. PUP coordinated four-re- search assistants to help the students with their ideas. In the second third of the semester, participants learned about philanthropists’ efforts to help reform the justice system. Today, some estimate that philanthropists now donate about $300 million a year toward criminal justice reform efforts such as reentry programs, communitybuilding organizations, and ballot initiatives. However, according to a report by Prison Policy Initiative (PPI), “Following the Money of Mass Incarceration,” the Bureau of Justice Statistics reported that it costs $81 billion just to run the corrections system. During the CZI workshop, Rothman led discussions about promoting common sense solutions that save taxpayer dollars and reduce the impact of crime. In November, Twitter and Square CEO Jack Dorsey attended the workshop to dis- cuss social media as a place to start a conversation about cultural change and important issues. When asked about Twitter’s role in cultural influence, Dorsey explained that Twitter allows people to exercise their freedom of speech but does not guarantee a broad reach. Dorsey emphasized that building a movement requires earning an audience, not imposing agendas on people. Sara El Amine, executive director of former President Barack Obama’s “Organizing for America” grassroots effort and now the director of advocacy at CZI, also attended the workshop. El Amine discussed the fundamentals of community organizing and the necessity of power mapping—identifying key stakeholders, movers, and shakers. Yoel Haile, former political director of the Afrikan Black Coalition and now a Criminal Justice Associate with the ACLU of Northern California, said that there are times when you have to do a lot more. David Plouffe, former campaign manager for Barack Obama during the 2008 presidential election and now CZI’s policy director; Mike Troncoso, former senior counsel to then California Attorney General Kamala Harris and now director of Criminal Justice reform at CZI; and Mike Romano, Stanford law professor, also contributed lectures and insight during the workshop. By mid-November, 20 of the initial 25 participants turned in their proposal outlines. 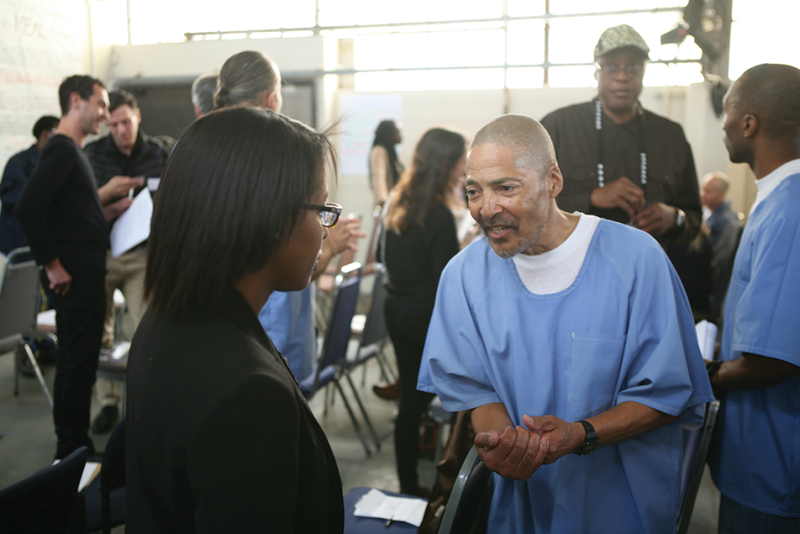 The students’ proposals ranged from targeting the school-to-prison pipeline, promoting inmate-run rehabilitative programs, providing more technology in prison, developing informed reentry programs, providing electronic employment placement, and making the criminal justice system more accessible by utilizing regular English instead of using legalese. 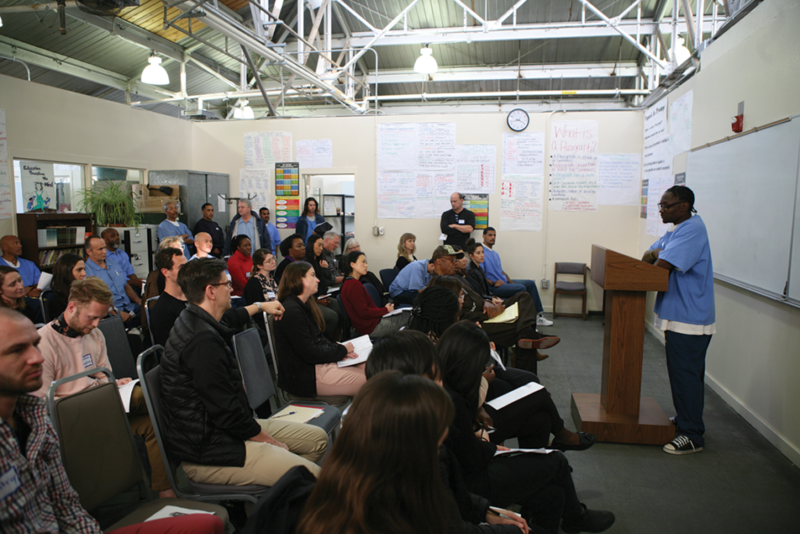 On January 26, 2019, the participants gave their presentations to about 40 academics, philanthropists, and community organizers. The proposal summaries were reviewed and posted on the Medium website for the public and philanthropists to view.